Fast, easy and convenient way to clean up everyday household dirt and spills. Great for dust and grime. Anti-bacterial and kills most household germs and allergens. 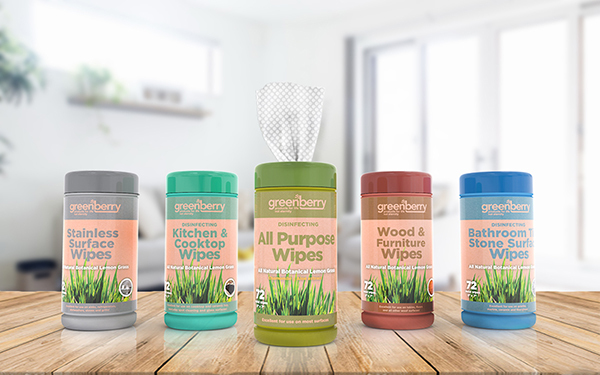 Greenberry® premium quality disinfecting wipes kill germs and deodorize all in one! Contains natural ingredients such as lemongrass and chamomile and aloe vera. These wipes kill 99.9% of household germs in as little as 30 seconds. Our heavy-duty pearl dot material is reinforced to be tough on dirt, yet gentle on surfaces. Easily cleans any mess, oily smudges, grime, dirt, dust or fingerprints. Natural botanical lemongrass extract freshens and helps keep your home office, car, school or any space clean, and sanitary for family, friends, guests, and pets alike! 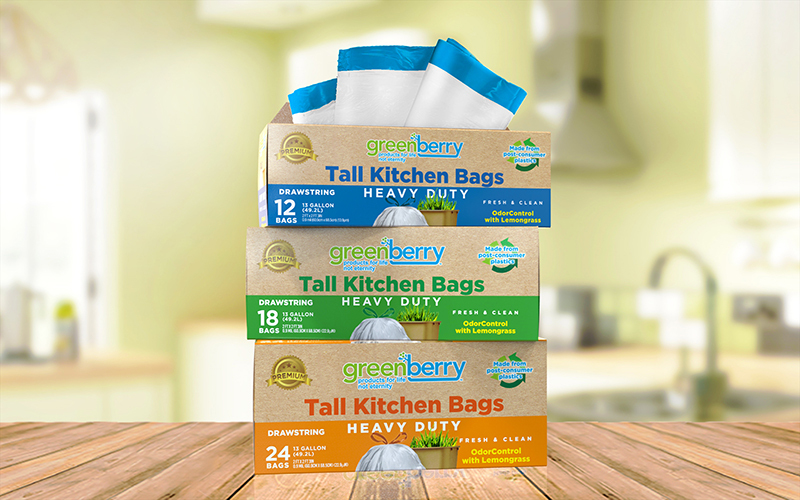 Greenberry® Premium Tall Kitchen Trash Bags are strong and utilize reclaimed post-consumer recycled plastic material to help reduce the Carbon Footprint. Natural Lemongrass is anti-fungal, refreshing, and odor absorbing. Congratulations on being more sustainable and responsible with smart choices for our planet.